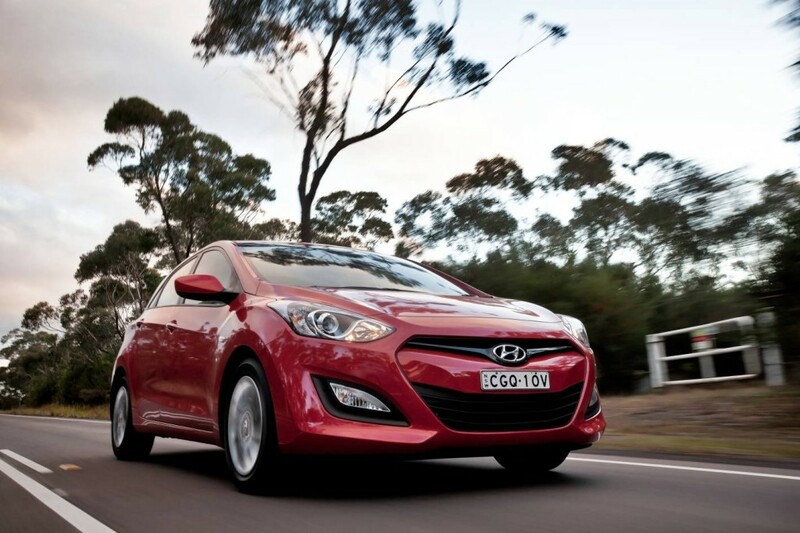 Are you looking for a new car to accommodate your growing family? Want something safe and spacious that’ll meet all your ‘family’ needs? Here’s how to choose a family car. CHOOSING A NEW CAR ISN’T EASY, although no-one told my father, who, one day after dropping my mother, sister and I at swimming lessons decided to trade-in, without telling anyone, our beautiful, but too small 1979 Mazda 929 Coupe for a brand-new KITT-looking, or so my young eyes thought, slightly bigger, but still impractical 1986 Mazda 929 Turbo (it was a two-door). …What I’m suggesting is that you need to consider every member of your family, including four-legged ones, before shelling out for a new car. And you can’t just go off safety ratings, or drive impressions in isolation, no, you need to think about these things as a whole. Really, the only question you need to answer is: how well will this car suit my family. There are four main body styles to choose from: hatchback, sedan, wagon, and people mover, and we’re including two-wheel drive and four-wheel drives in these main categories. Depending on where you live (inner-city, suburbs or out in the country) and how many children, pets you have to accommodate will either rule in or out the various body styles. Hatchbacks tend to be a lot more practical than an equivalent-sized small sedan and that’s simply because of the bigger bum, it makes the interior space more flexible and better able to accommodate prams, port-a-cots and bags, or even a pet (with the parcel shelf removed, of course). But, some small hatchbacks, will be tight for space in the back seat and, once you’ve added either a baby capsule or a child seat you may not be able to sit in the front seats comfortably – always take a childseat with you when test driving. People movers are probably best left to families with older children, meaning those that don’t need booster seats, see, most third row seats won’t take a childseat and, unless you’re buying a Land Rover Discovery4, the third row are really best left for occasional use. And, with the third row of seats in use, you’ll severely reduce your luggage-carrying capacity. For me, a station wagon was the best fit for my family as it allowed for the most flexible interior space, meaning we could fit two child seats across the back and still have room for carrying bikes, prams, port-a-cots, and the family dog, although not all at once. There was plenty of legroom for the kids and for us adults in the front and, in a pinch, a slender-hipped adult can even travel in the back between the two childseats. While my father chose a two-door as a family car for four people, I’d suggest always going for a four-doors and make sure they’re both wide opening and offer a decent door way to allow ease of man, or woman-handling a child into and out of the back. Makes fitting childseats easier too. So, when trying out a new car, check the rear doors: what are they like when you’ve got them opened right up? Then, swing them back one stop and see if you can still lean in easily enough – you don’t want a cramped carpark to be the first time you discover that the door opening is too tight when the doors aren’t fully open. As for whether you choose a two-wheel drive or a four-wheel drive SUV will make no difference to the suitability of the car to accommodate your family. Indeed, some SUVs, with a little extra height might make it easier to get children into the back, meaning you won’t have to lean down to get them into a lower-set two-wheel drive. Step 2: What’s the storage like? If you’ve ever travelled anywhere with children you’ll know that the family car fast becomes an extension of their bedroom. So, when choosing a new family car, consider the storage space available, look for water bottle holders, cup holders, glove boxes, and even under-seat storage. And, check the boot too, because, there will be times when it’ll need to double as a nappy-changing table. Here at Practical Motoring we don’t recommend you consider anything, be it for your family or not, with anything less than a four-star ANCAP crash safety rating. So, whatever you’ve got on your shortlist, you should head to ANCAP and search for the car to see how it’s rated the safety. It’s also worth checking EuroNCAP as it has a particular focus on child safety in its crash test assessment. The other consideration, thanks to recent changes to Australian Design Rules, is the allowance for Isofix seats to be used in Australia. That said, you can’t just go and order an Isofix seat from overseas, because those seats don’t meet the specific Australian requirements and, as far as Practical Motoring can tell, there’s only one Isofix seat in Australia that meets the new rules but the maker of the seat is still saying it’s Coming Soon. And using an Isofix seat in Australia doesn’t mean you no longer have to use the top-tether strap (that’s the strap that runs from the top of a childseat and latches onto a point either on the roof in some wagons, or behind the seat, or on the parcel shelf in a sedan), the top tether strap has to be used on all Isofix seats in Australia – when the makers eventually get around to rebuilding their seats to suit Australian Design Rules. This is where you need to work out whether a ‘normal’ two-wheel drive car will suffice, or whether you absolutely have to have an SUV, be it simply to keep up with your friends, or because you’ll actually need the additional clearance and all-wheel drive (permanent or part-time) or even full four-wheel drive (and we mean those with low-range) capability of an SUV. To answer the above, you need to think about where you do most of your driving, do you live in town or the country? Because that might influence whether you go for a petrol or diesel-powered car – the longer the distance you regularly travel then the more suitable a diesel vehicle will be. Do you regularly drive on dirt roads? Because if you do then you can probably justify the extra expense of buying a four-wheel drive, but if you’re living in the inner-city and never travel off-road then a four-wheel drive is an absolute waste of money. In Australia, even cold places in winter are hot in summer, so, window tinting and good air-conditioning are a must, and if you live somewhere that rains reasonably regularly then rain-sensing wipers are a nice touch, but they’re by no means a deal breaker. 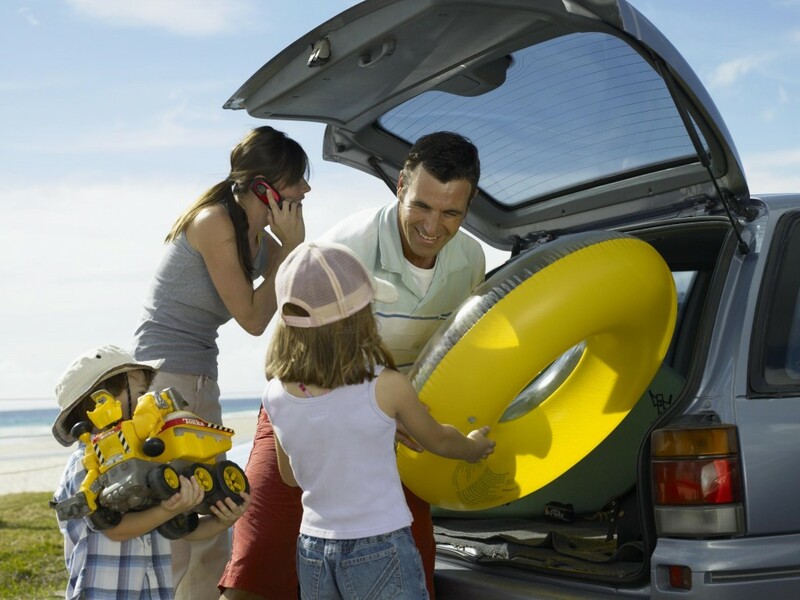 Will you be towing a caravan, trailer or boat with your family car? If so, you’ll need to check the weight of what you’ll be towing against the towing capacity (including the towball download capacity) of the vehicle you’re considering. Indeed, if you are going to be towing regularly, then you can probably ignore everything bar four-wheel drives – they’ll be best suited to the stresses of that sort of lifestyle. As mentioned earlier, make sure you always have a child seat, and preferably your kids with you when you’re test driving potential purchases. That way, you’ll spot potential problems before you’ve signed on the dotted line and got the car home. So, you want to check how easy it is to get a childseat in and out (and how easily, or not, it is to get a child in and out of the seat – it’s an action you’ll need to be comfortable with performing for years), or, if your kids are older and no longer need a booster seat, whether they can get in and out easily by themselves. Also have a look at the windows, can the kids see out easily enough, are there rear vents to provide heating and cooling (not all cars offer rear seat vents). And, if you are testing a car with your kids in the back, ask them what they think (if, of course, they’re old enough to articulate). It might even be worth you climbing into the back seat to get a feel for their experience. Step 6: What do you get with the car? Rear seat cupholders can be useful for long drives, although a lot of childseats have cup holders built into them. 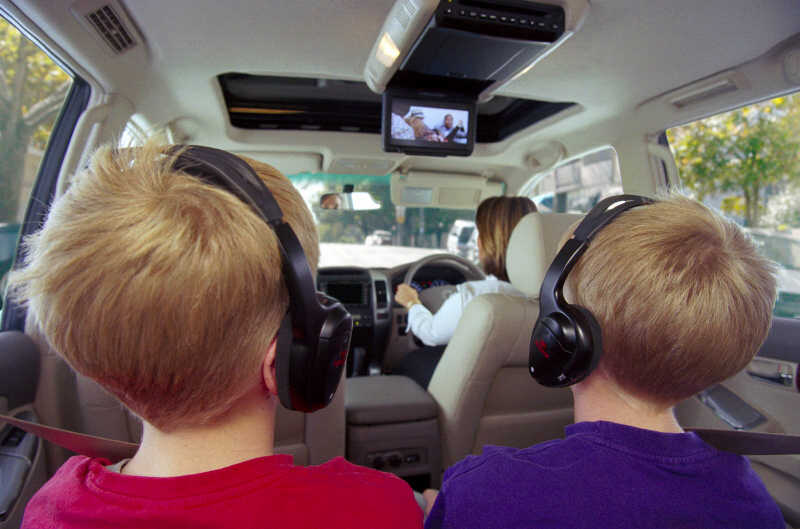 And while DVD players integrated into the headrests of the front seats can be a lifesaver on longer trips, it’s probably cheaper to buy portable DVD players. There are more, but these should get you thinking about the difference between essentials and niceties. Step 7: What can you afford? Budget is, obviously, all important when it comes to choosing a suitable new family car. So, work out what you can afford and start looking at the range of vehicles available in that price range. But you also need to consider the cost of running (petrol) and servicing costs, as well as insurance. If there’s anything you think we’ve missed, or if you’ve recently purchased a new family car and want to share your experience, then leave a comment below. Never know, we might even incorporate your suggestions in the article above. As our Tony Bosworth will agree, the Hyundai i30 is a roomy and well-built small car that’s big enough to swallow a family of four and all their stuff. 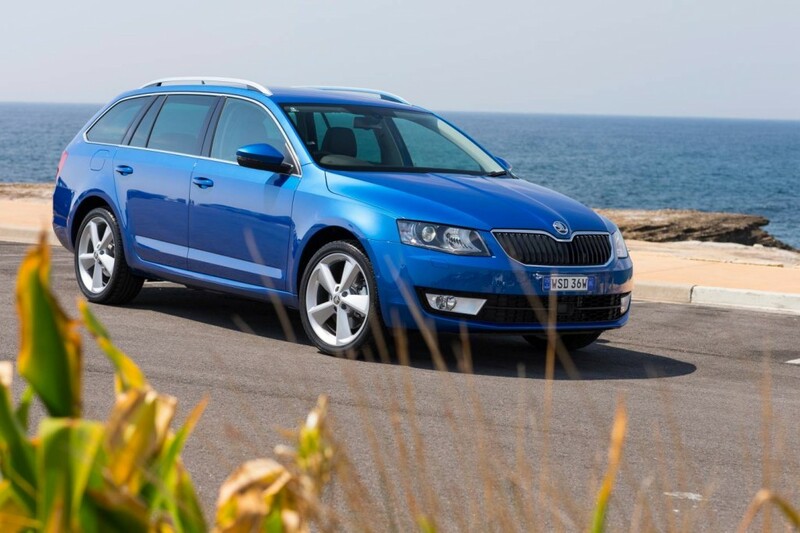 New third-generation Octavia is bigger and more practical than before. The range of engines combine thrift with grunt and the price is very competitive. 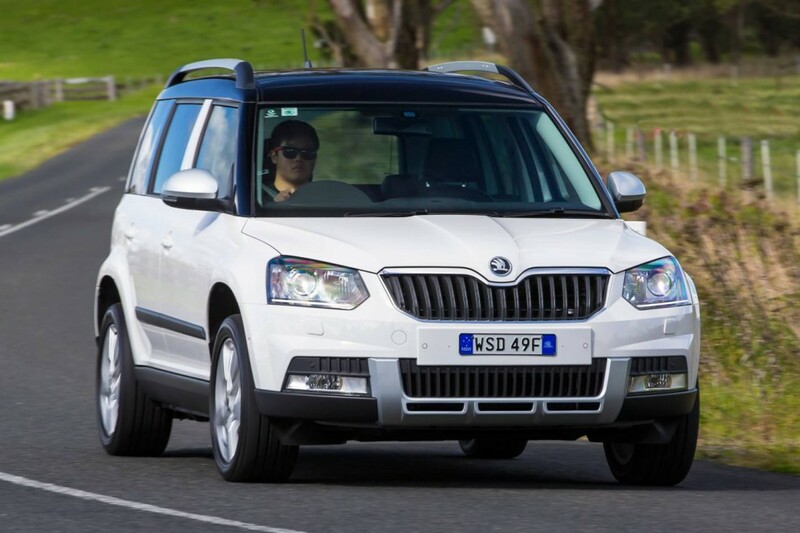 Two Skodas in our favourites list, the updated Yeti makes it because of its small size and flexible interior, that it can be had in 4×4 guise makes it an excellent prospect. 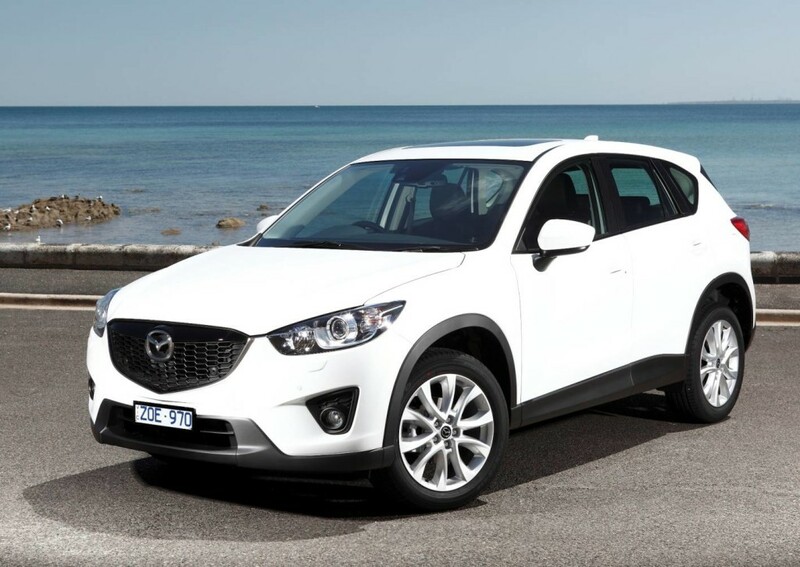 A firm favourite in Australia, you couldn’t have a family car list without the CX-5. Roomy and refined, Mazda has created an SUV with the fun-to-drive attributes of a warm hatch. 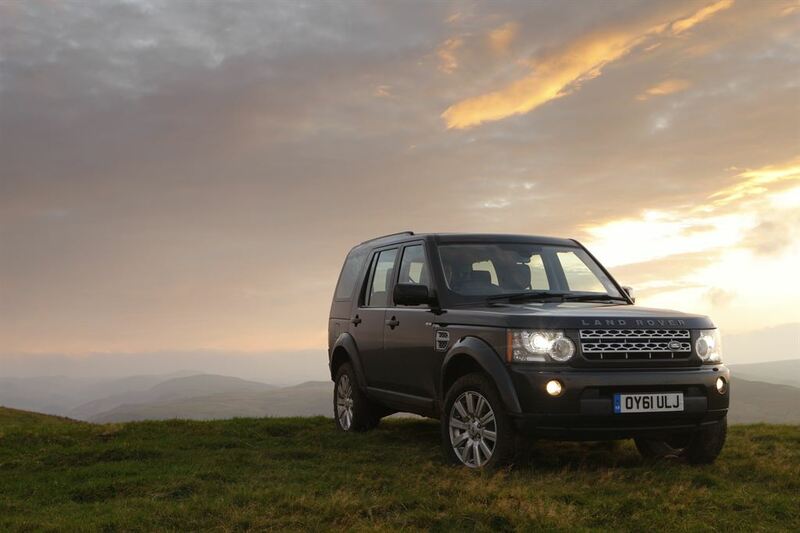 If you’re looking for a seven seats, towing and real-world all-road ability than you can’t go past the Discovery4. It can be pricey, depending on the spec, but none are better off-road. 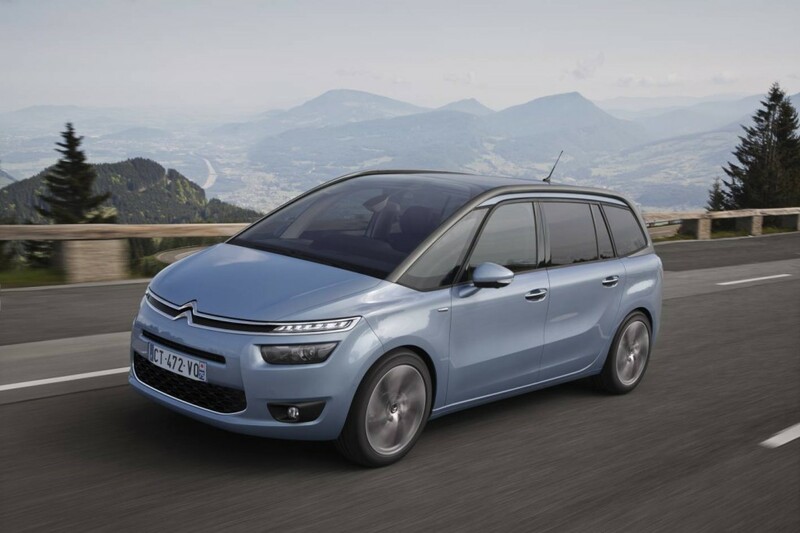 A spacious and practical interior, coupled with an economical engine make the Citroen C4 Grand Picasso a real stand-out from the bland people mover segment. If you are looking to EuroNCAP then I would also suggest surfing across to IIHS for the small overlap results. 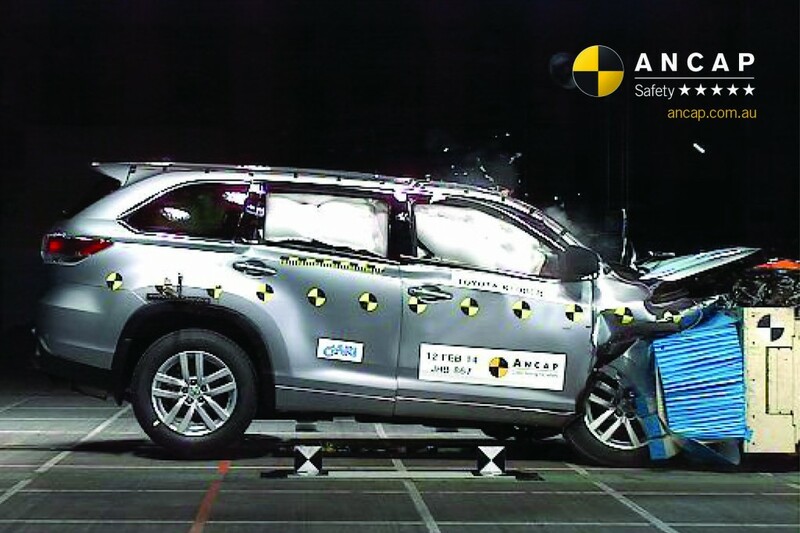 They apply to US market vehicles but it is worth informing yourself of just how much brands have focused their designs on passing NCAP and don’t necessarily provide a safe vehicle outside of those artificial parameters. Even more concerning is that luxury brands are the worst offenders. No Subaru Outback in the top picks? Should have kept the 929turbo!! I for one think the crash testing needs to include offset rear collisions as it seems rear seat passengers have become secondary to front seat occupants (a lighter rear end improves front end crash performance) ( heard of a crash the other day where they had to cut the injured rear seat passengers out but the driver of the other car was unscathed) & active safety features like stability control are merely tick boxes rather than be tested for profficiency as there are some real dogs out there in terms of stability control systems.